Running an eCommerce business doesn’t only come down to your mercantile skills – it is essential to find the right platform to work in. Custom solutions are often encouraged for bigger businesses; however, WordPress is more than capable of handling any type of eCommerce website. Nevertheless, to be sure that everything works seamlessly, the theme you opt for must support WooCommerce. 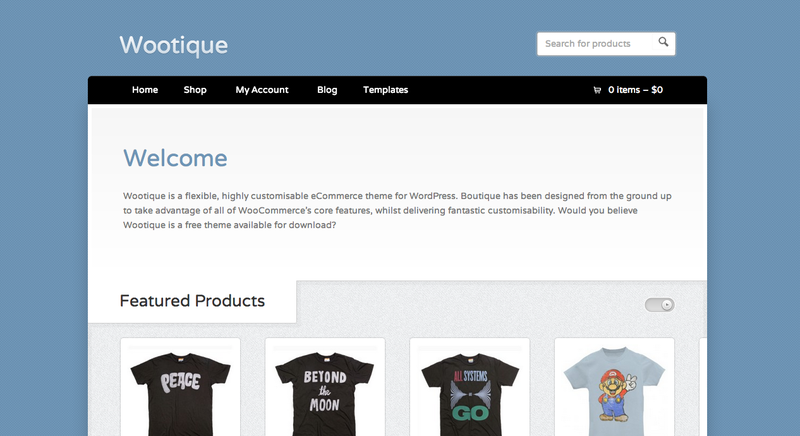 The following article lists 5 most popular themes already in use by some of the best eCommerce websites in the world. A lot of themes are only viable for selling digital goods, while there are those that give off the best impression when selling tangible products or assets. Unfortunately, this makes it slightly difficult for people trading in both of these commodities to pick a perfect theme for their business. Luckily, Shop Isle covers both groups just fine. The reason why WooCommerce is quickly growing in popularity is because it offers both customers and businesses something they value above all else – freedom of choice. 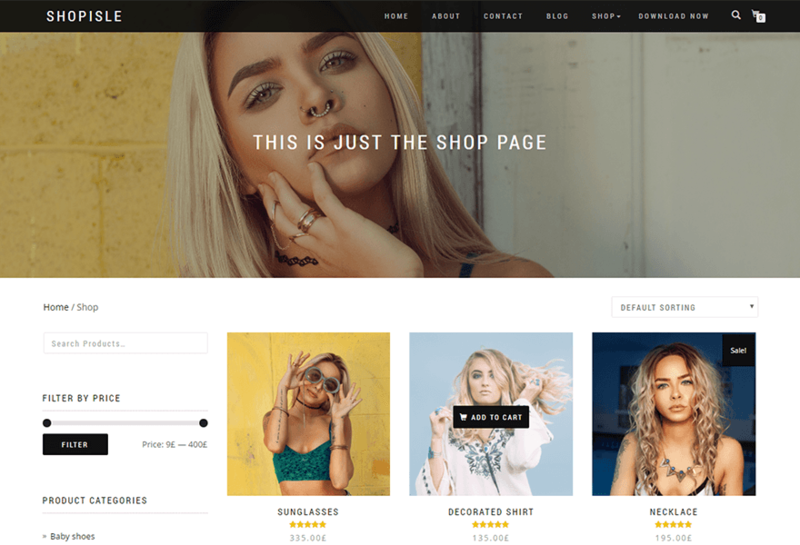 It is a Bootstrap-based theme that supports WooCommerce, JetPack, SiteOrigin Page Builder, Meta Slider, and many more options. The most important thing is that it is responsive and has parallax effects for one-page websites. 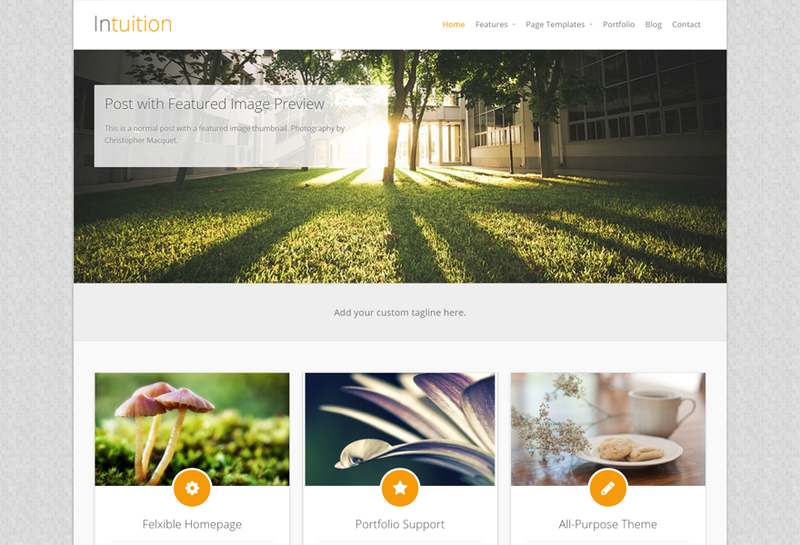 In the end, it is unclear why this theme is free, but as long as it is, don’t hesitate to use it, since it can cope with many premium themes, even outperform some. This fully responsive, highly customizable free WordPress theme is the number one WooCommerce theme in 2016, according to its manufacturer. When we say that the theme is highly customizable, it is due to its built-in customizer that makes even the most complicated things seem simple enough. With its featured product show list, advanced wish list, boxed and full layout, multiple Category display layout, ads banners and on-page promos, as well as many more advanced options, this theme makes itself worthy of any eCommerce website out there. While universal themes such as the abovementioned two can be great in many situations, there are times when you would benefit most from something more industry-specific. A perfect example of this is Wootique. If your goods are something that is actually sold in a boutique, this theme can help you convey the same ambience in the digital environment. 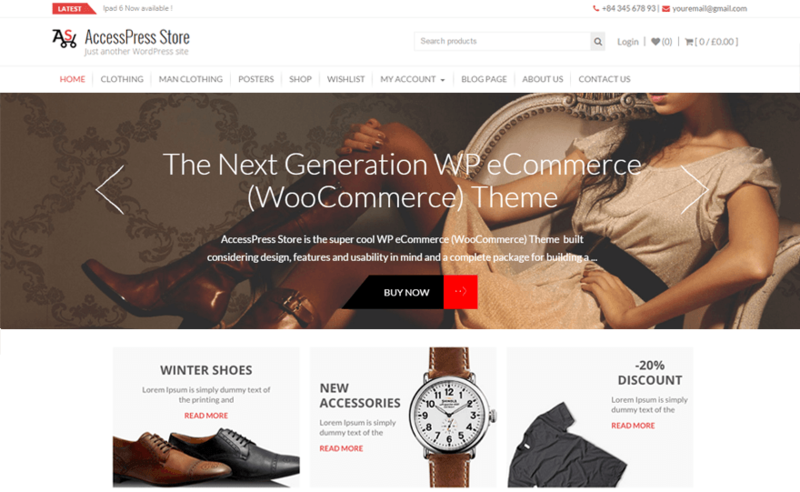 The theme is made by WooCommerce, which promises smooth integration with WordPress and WooCommerce’s functionalities. Nevertheless, even though it’s free, to gain support for the theme and everything that goes along you have to make a purchase from WooThemes. One of the greatest dilemmas most new businesses face is whether to go local or global. Make no mistake, this question can also play important role when determining the design and layout of the page. 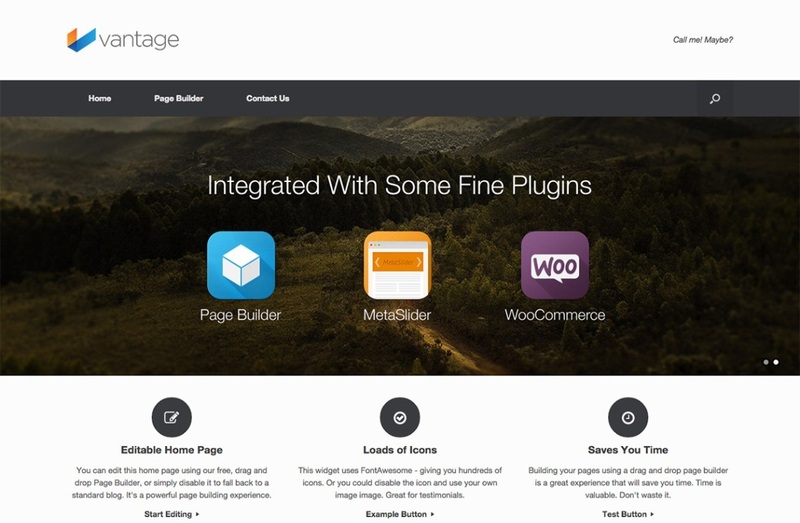 This is why a theme like Vantage can come in handy, since it allows you a great deal of customization. Apart from WooCommerce, it is also supported by other major e-store builders and allows an easy integration of payment methods. This way, even if you start as a local phenomenon, you always leave some room to go internationally. If there is one thing customers appreciate in eCommerce – it’s interactivity with what is displayed on the website. This is something Intuition excels at. The use of animated sliders throughout the theme creates a completely unique customer experience. As for customizability, you get the choice of color, shortcodes, typography and layout. In other words, you are provided with a perfect crossover between excellent user experience, great way to present your products and the simplicity of use. All of that, once again, for free.